Plants smell better than animals, at least to Nga Nguyen. That’s one reason why she decided to study them. 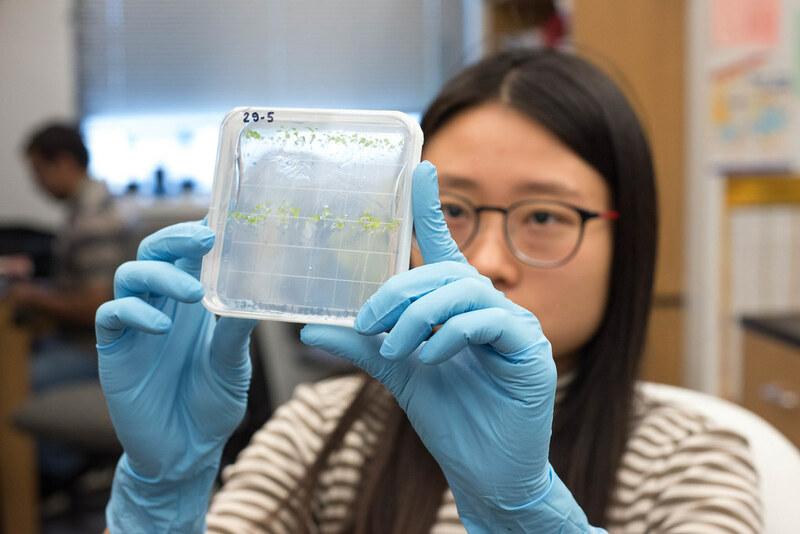 As a fifth year doctoral candidate in the Mendoza-Cózatl lab at Bond Life Sciences Center, she hopes to combine her undergraduate background with her present research in the microbiology of plants to improve the crops of the future. Nguyen studies how transporter proteins move micronutrients like iron through plants. By understanding how plants move these nutrients in model plants, researchers hope to apply the same understanding and techniques to crops like soy and common beans. Increasing the micronutrient content of these crops could be a useful tool in combatting nutrient deficiencies in areas where people don’t have access to meat and dairy.